If you do any type of baking, there is a 99.7% chance that you have used vanilla extract! Whereas there are some pretty tasty imitation extracts out there in the marketplace, there is almost nothing better than real, pure vanilla. 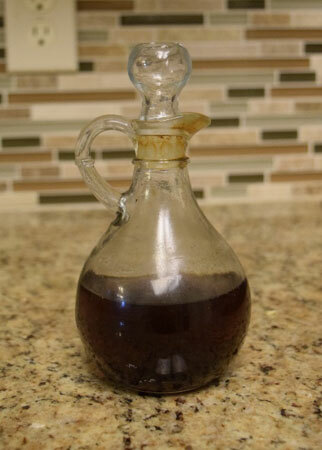 Making your own vanilla extract is not only fun for both adults and children alike, but also creates a great topic of conversation for your friends and family that come to visit. Although the waiting process may be long, you will not be disappointed with the end result! Start by spending a few minutes smelling those sweet, aromatic vanilla beans! Once you are done indulging, slice each bean lengthwise using a sharp knife. Be careful to only cut through one side of the bean to make the seed scraping easier. Once the bean is sliced open, scrape the seeds out using the tip of your knife and start a little pile. If there are some left inside, it’s not a big deal. Do this for all of the beans that you have. 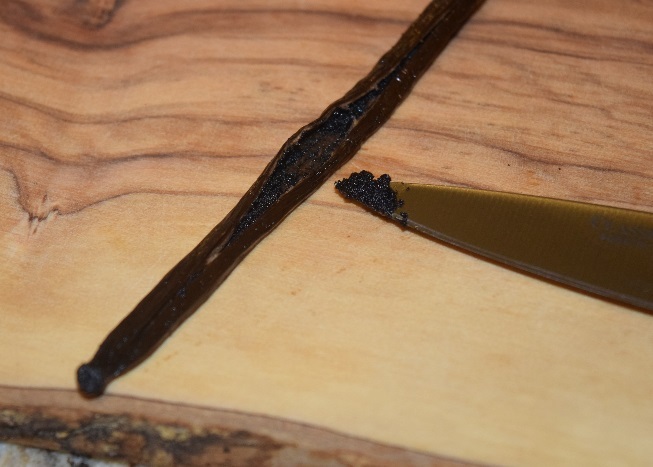 While scraping the seeds isn’t a requirement for making delicious vanilla extract, it does help maximize the extraction process. Scraping also helps make tiny cuts in the bean, increasing the surface area for the vodka to do its magic. 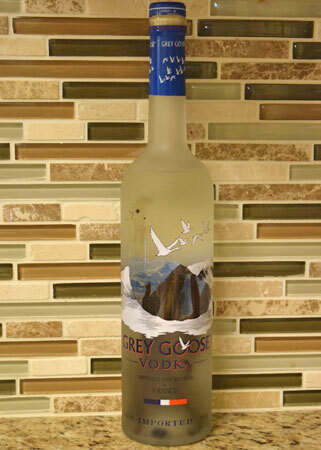 Once you are done, grab your bottle of vodka and pour out about 1 ounce. This allows space for the beans without overflowing, and leaves a little extra room for shaking the bottle. Drop the vanilla beans and seeds into the vodka, cap it, and give it a nice shake. I also like to write the date somewhere on the bottle so I know exactly how long my vanilla has been extracting. Set your bottle aside in a safe place (a cabinet or the counter will do) to allow the alcohol to extract the vanilla flavor. Shake your bottle once a week or so to help disperse the seeds and agitate the beans. In 8-10 months, your vanilla should be ready to use! Depending on how strong you like your vanilla, you can use it sooner than 8 months, or let is sit much longer. Your stash will likely last you over a year, and will only get better over time. For ease of use, many hobby type stores sell glass apothecary bottles for your vanilla storage. I like to put a bean or two in the smaller jars just to help the flavor develop even more. You can also use the spent beans for flavoring custards and pudding. When your first batch is ready to use, start a fresh recipe and you’ll never have to buy vanilla extract at the store again! The fun in making vanilla extract is in the experimentation. Everyone makes their vanilla extract differently. Play with the number of beans you use, dice the beans into small pieces for extraction, or use different brands (or types!) of alcohol to create your perfect extract. Regardless, making vanilla extract is nothing but rewarding in the end! Homemade vanilla extract makes a unique gift for those bakers or hard to shop for people in your life. Attach a bag of Bolner’s Fiesta Brand® Vanilla Beans for a gift that can’t be beat! Happy baking, and keep it spicy, y’all!